It is hard to resist this cute rabbit baby! Even in the micro size, Maileg shows its outstanding attention to details. 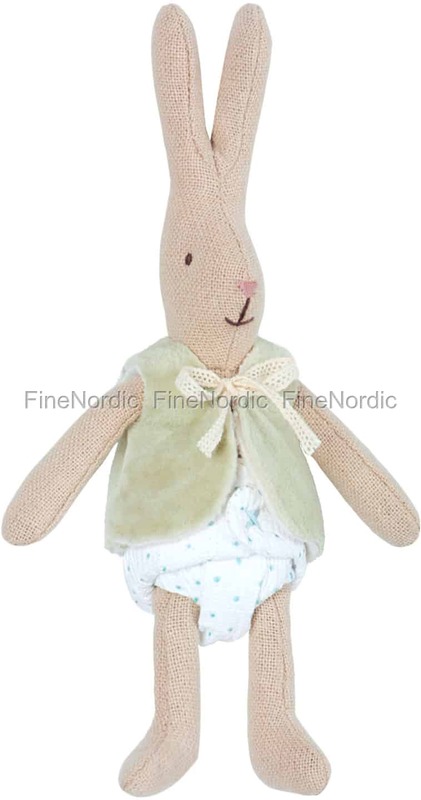 From the little diaper, to the trendy vest, to the happy smiling face, there is a lot to discover on this 16 cm “tall” rabbit. Ready for a change? Don’t just put on a new diaper, but you can also just untie the vest and switch it out with one of the other adorable outfits from the Maileg Micro collection, because this baby rabbit likes to travel in style.